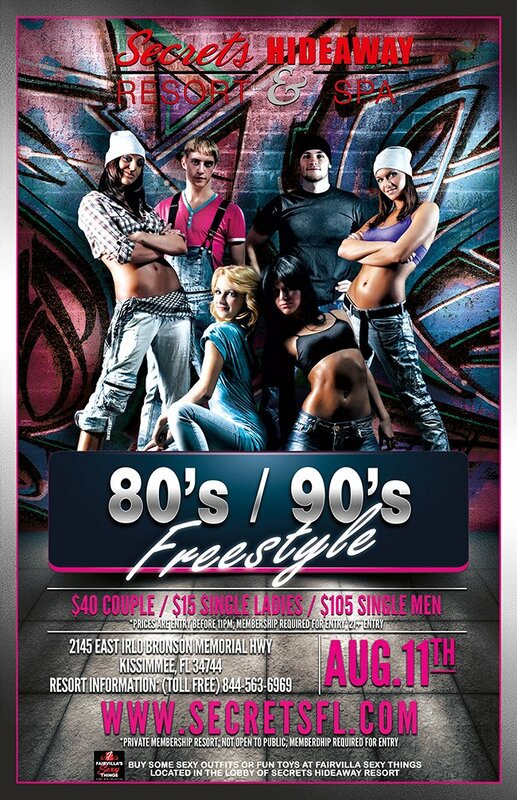 Freestyle music was introduced to the masses in the late 80’s to early 90’s. Think Grunge, Graffiti, Madona’s Cone Bra, The Fresh Prince, RuPaul and the Spice Girls. We want you to put on your bling-bling and be All That. We want you to push the limits on what you will be wearing for this party by taking it Old School. We want you to make our mouths drop and tongues hit the floor. Now let’s Get CRUNK! !